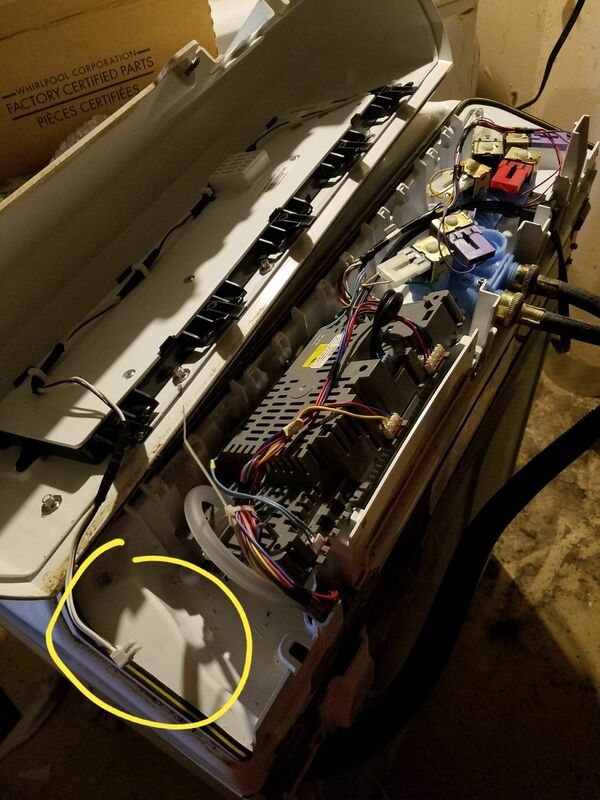 I replaced a broken water inlet valve and the main control board on this unit- but I missed the connection point for the wire leading to the user interface when I shot my "before photos". I'm concerned that if I plug into the wrong place I'll damage the new control board I just put in, and theres several to choose from. should be on the right side of the board on on the top of the right side. should also only allow the wires to go into the correct one.